We went on a very cold (the descriptor for this entire winter) day and wanted to warm up. ASAP. 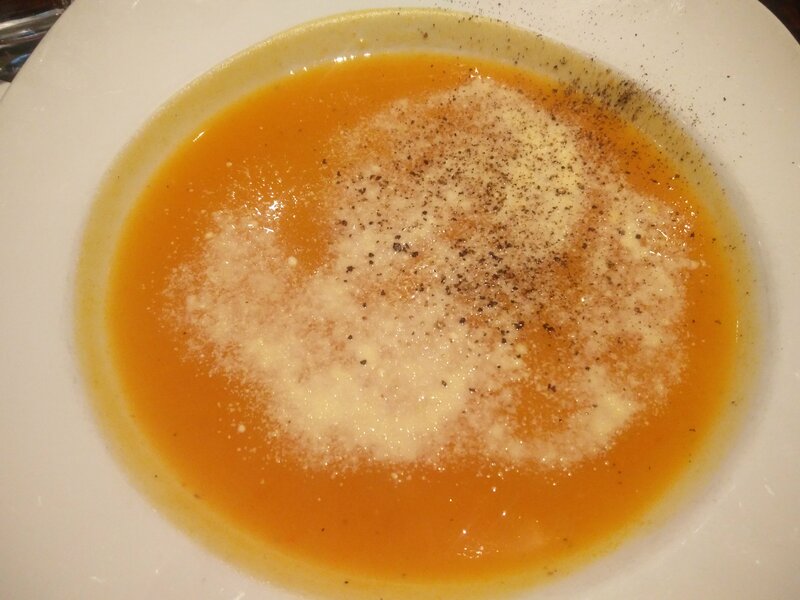 So I order the Daily Soup, which just happens to be a butternut squash soup. 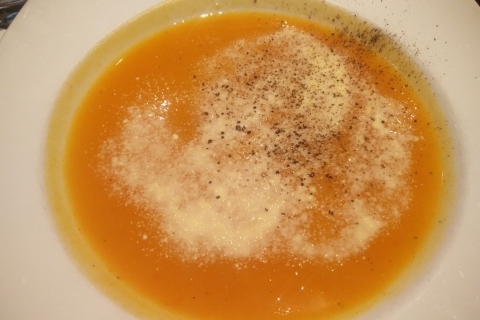 I love butternut squash soup, love the thick texture and the nutty taste. Love the way it warms a person up from the inside. So naturally, I was extremely excited. 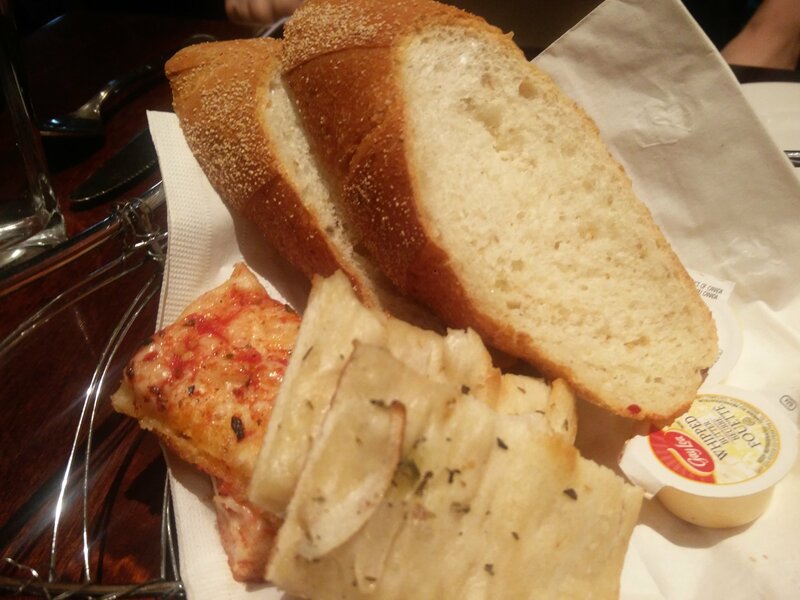 When it arrived, the waitress asked me if I would like some parmesan and freshly ground pepper and I said yes. Excited for my first bite, so I dug in. Oh boy, everything, from texture to colour to smell was right. The taste, however, was not. It was more like water with some parmesan and pepper. Super disappointed. 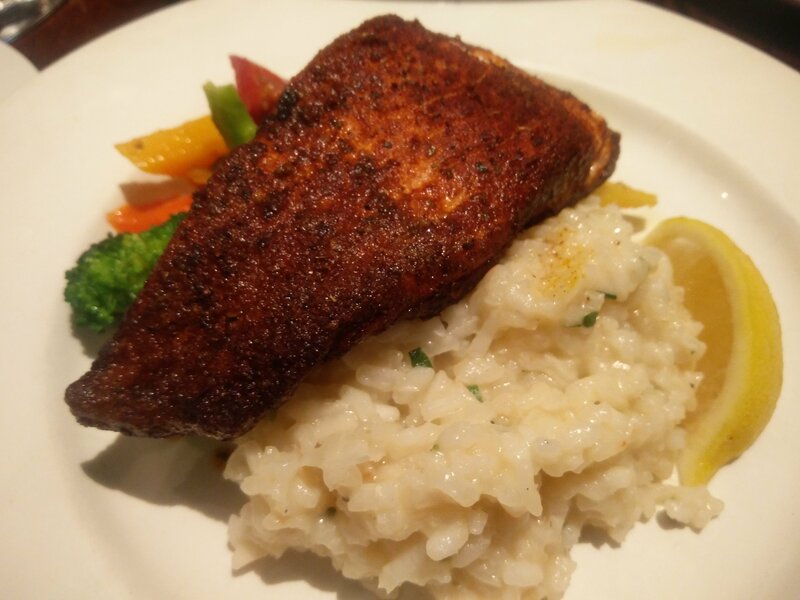 For my entrée, I ordered the blackened salmon fillet, with cheese risotto and seasonal vegetables. The portion looked fantastic and again, it smelt amazing. 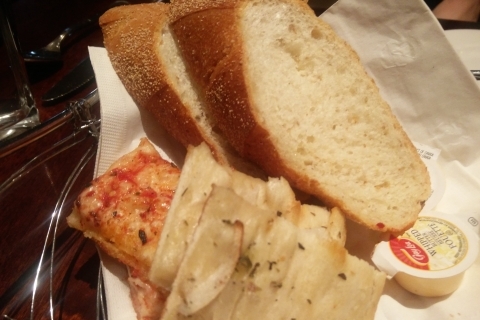 Unfortunately, every bite got saltier and saltier. I would’ve given up a while ago, if Laughliveat wasn’t engaging me in conversation. 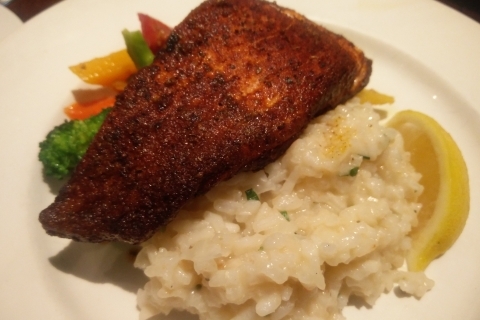 I honestly forgot that I ordered a cheese risotto until the very last bite, just because I didn’t get a hint of cheese till the very end. The best part of that dish was honestly the seasonal vegetables, which we suspect were mostly boiled. Can’t go wrong with boiling I suppose. 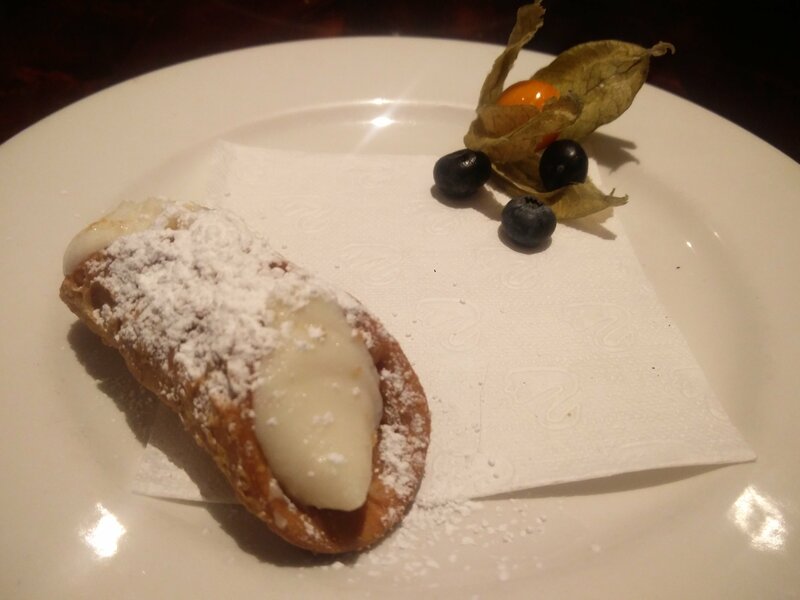 Cannoli, oh how I looked forward to cannoli. My hopes weren’t too high, given how the rest of the meal had gone. 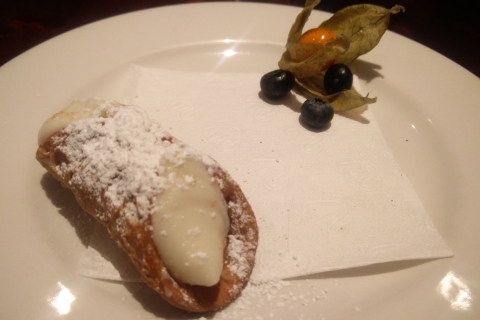 I at least hoped the cannoli would be decent. There’s not much to be said of course. The dough was fried, which was a yay. It was also quite hard, so the entire dessert broke pretty easily. The pastry cream inside though, was grainy… which… leaves me speechless. Obviously, the experience was not fantastic. Given that I was actually given some advice from another friend about this restaurant, I can only blame our judgement for why we still visited.